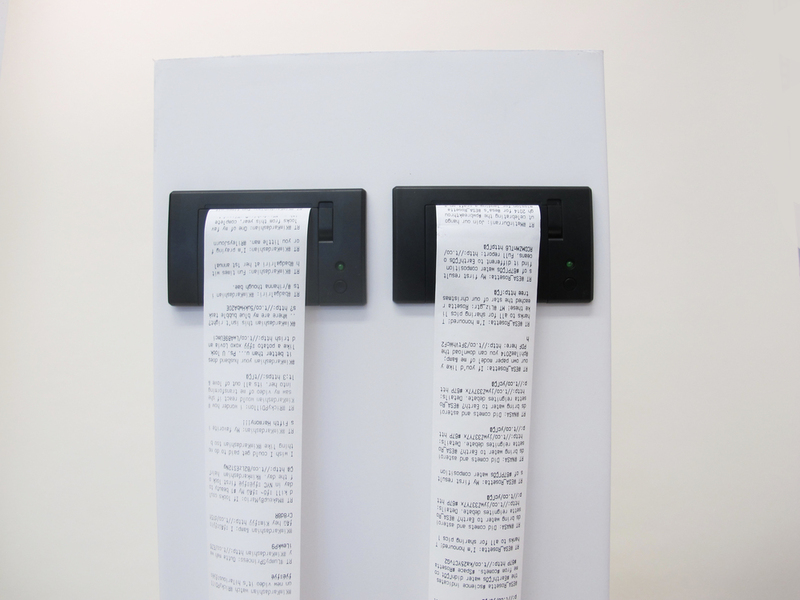 An exploration of social media data creation, public attention and, the effects of digital communication on an audience. Kim Kardashian's "internet breaking" photo shoot was released the same day humans successfully landed on a comet. I was interested in exploring the amount of social media data created about each of these events in juxtaposition to each other. Using Processing, I scraped Twitter for the most recent tweets @KimKardashian and @ESA_Rosetta. 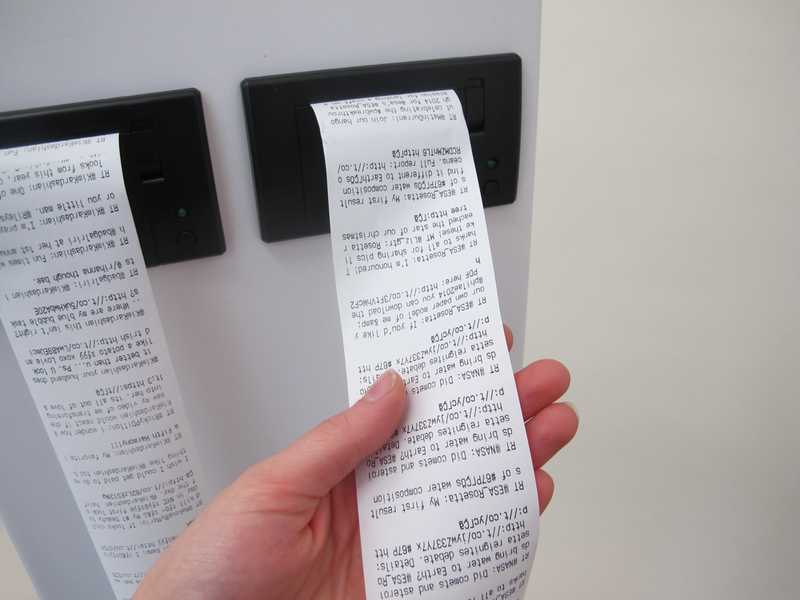 These tweets are then sent over a serial connection to an Arduino to be printed by each corresponding thermal receipt printer. A wearable FM radio that responds to specific gesture cues to adjust volume and seek stations. 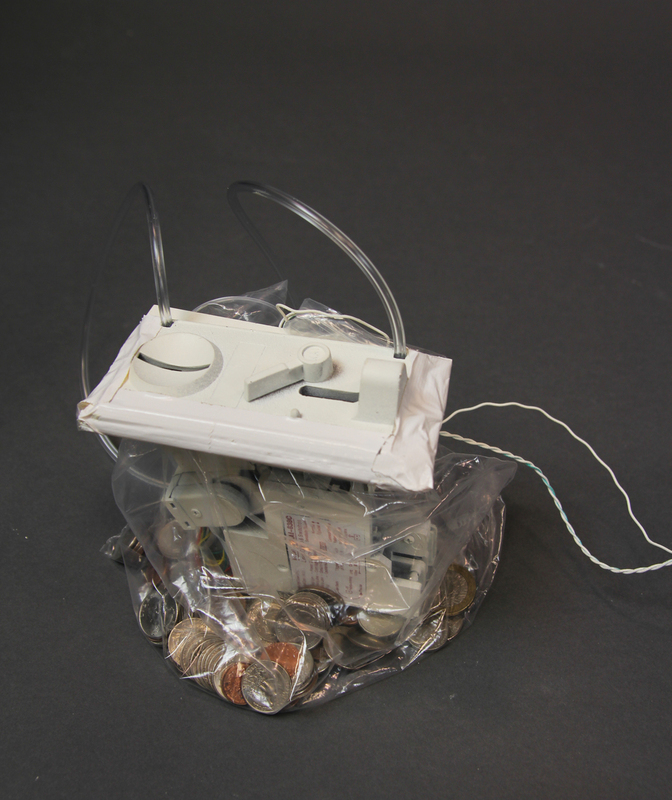 Haptic feedback in the form of vibration lets the user know when the station has been changed. To adjust volume the index finger is bent. Closing the fist reduces volume and opening it raises volume. To seek up stations the user tilts their hand to the right. To seek down stations the hand is tilted downwards. 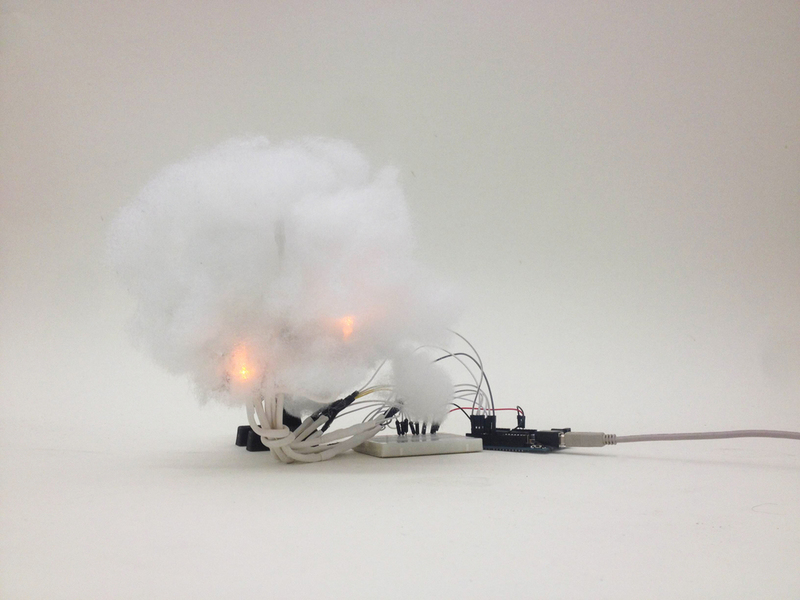 A visualization of nuclear testing globally since the invention of the atomic bomb using max msp, arduino and maxuino. A collaborative project with Miles Peyton, Horace Hou and, Aditi Sarkar. Although all citizens in the United States are entitled freedom of speech, it is often only those with money whose voice is heard. 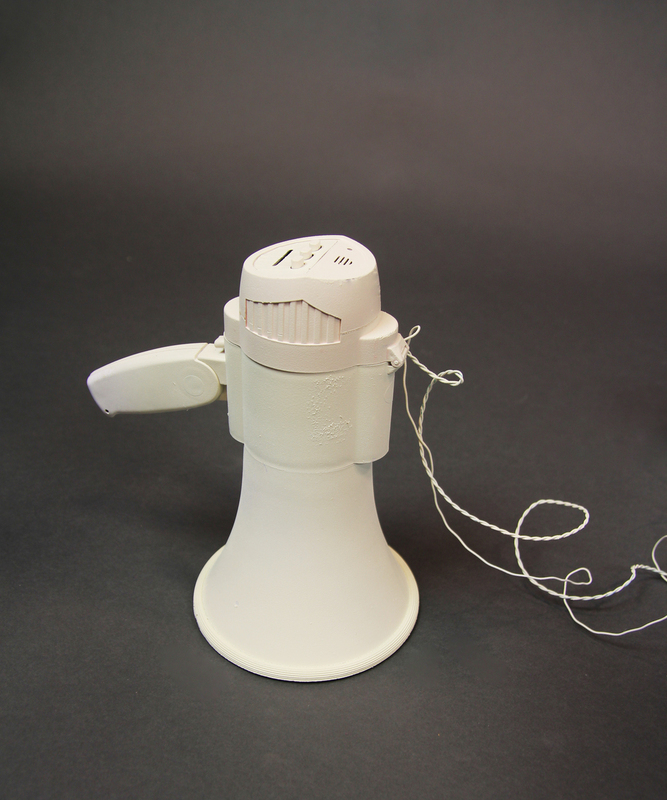 Free(mium) Speech is concept for a "free" coin operated megaphone given to activists and protesters. 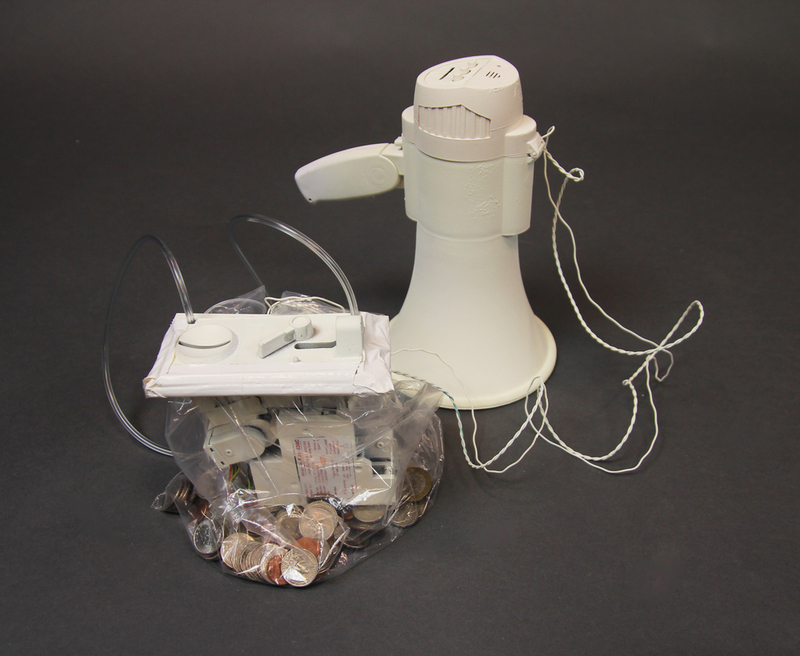 The megaphone's volume output is governed by the number of coins it receives. The more money input into the system, the louder and longer the volume is sustained.